To play our part in contributing to the society, this year, our Primary 5 students and the teachers would be making a special card for the elderly in Sree Narayana Home! 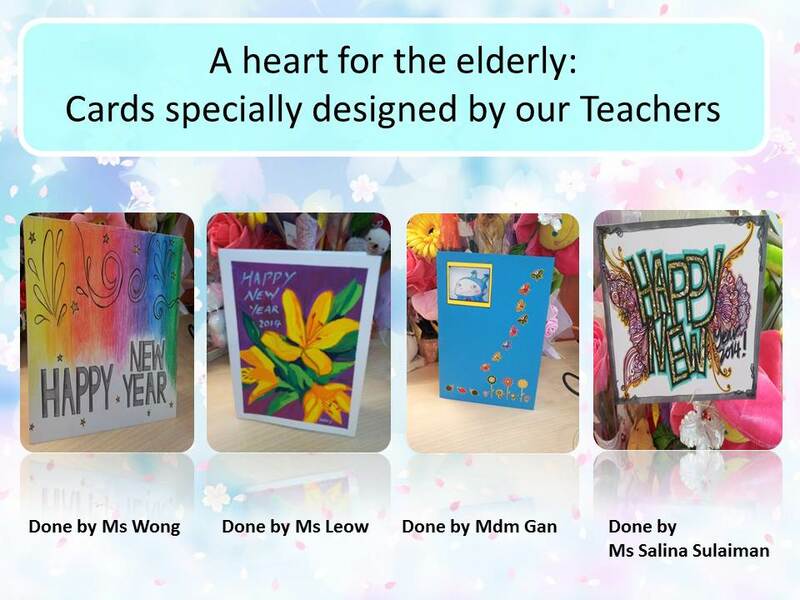 Here's some of the nice and beautiful cards that our teachers have made. 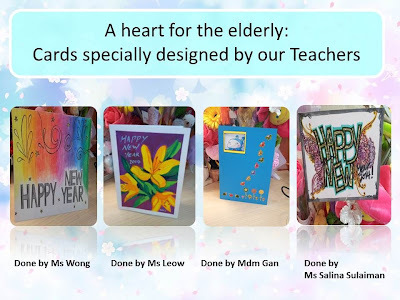 Most importantly, it is the heart and thoughts put in, to make this card a special one, for all the elderly in the home. We hope to make a little difference to their new year celebrations at the end of this year. Have you started making yours?